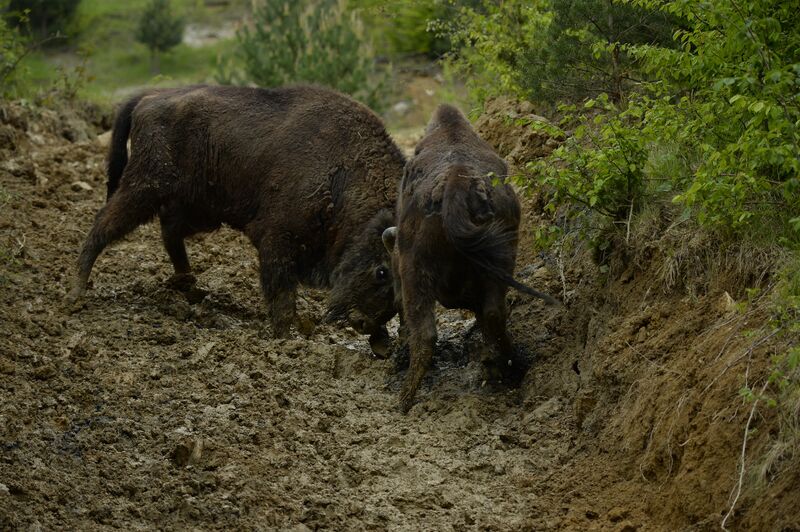 After a 200 year absence the European bison has been returned to southern Romania. Bucharest: After a 200 year absence, the European bison has been returned to southern Romania in the biggest reintroduction of the species to take place in Europe. 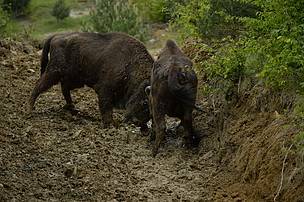 The WWF and Rewilding Europe initiative saw 20 bison from several European countries brought to the Southern Carpathians in the southwest of the country, with a further 10 to be reintroduced over the summer. 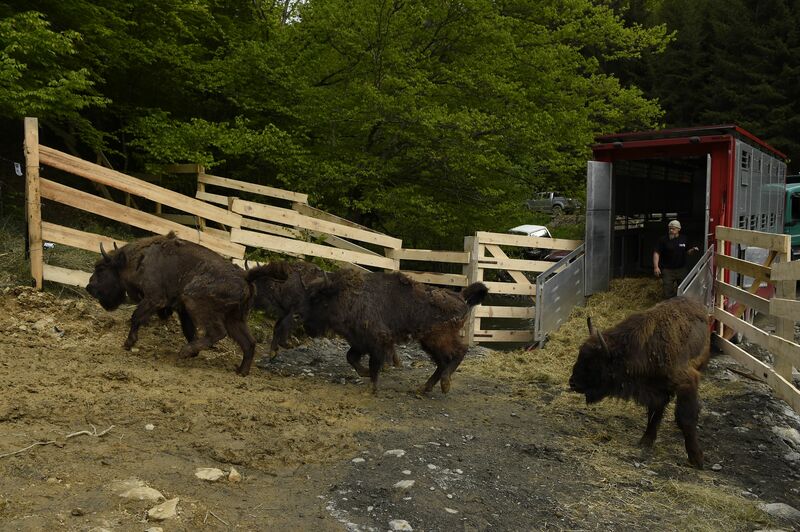 “This is the biggest ever bison reintroduction and transportation to have taken place in Europe. We aim to protect natural values in the wildest areas of the Southern Carpathians and ensure their recovery where they were lost”, says Adrian Hăgătiş, project manager at WWF. Increasing the numbers of bison is important for both the survival of the species and biodiversity reasons. The European bison, also called the Wisent, is a so-called keystone species in the European ecosystems, with an important role through grazing and as prey for larger carnivores such as bears. The global population of European bison is estimated at just over 5000 but only about 3500 of them live in free or semi-free herds. Initially the bison were released into an acclimatisation zone. Later they will be moved into an adjoining re-wilding zone where the animals will be given the opportunity to learn necessary survival skills for life in nature, and form a solid social herd structure. 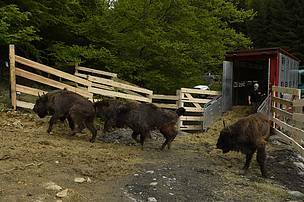 In early September they will be released into a protected site almost 60,000 hectares in size and become the first free roaming bison in the area since the 18th century. The bison are expected to serve as an important regional tourism attraction, with plans for a Bison Visitors Centre to be established, WWF worked closely with the local community, forestry service and tourism organisations. “This increases local pride without loss of traditional lifestyle and nature conservation takes on a new meaning”, says Adrian Hăgătiş. The aim of the programme is to build a herd of 500 bison in the area by 2025. Rewilding Europe is working to establish five populations of at least 100 individuals each in other rewilding areas across the continent. Free-living bison are currently found in Latvia, Lithuania, Belarus, Ukraine, Poland, Slovakia, Russia and Germany. Wild European bison became extinct in the early part of the 20th century due to hunting and habitat loss. The species has bounced back due to re-introduction programs, the IUCN red list of endangered species classes the species as vulnerable, an improvement from the 1990’. After some time in an acclimatisation zone the bison will be moved into an adjoining re-wilding zone where the animals will be given the opportunity to learn necessary survival skills for life in nature, and form a solid social herd structure. The global population of European bison, the largest herbivore in Europe, is estimated at just over 5000.